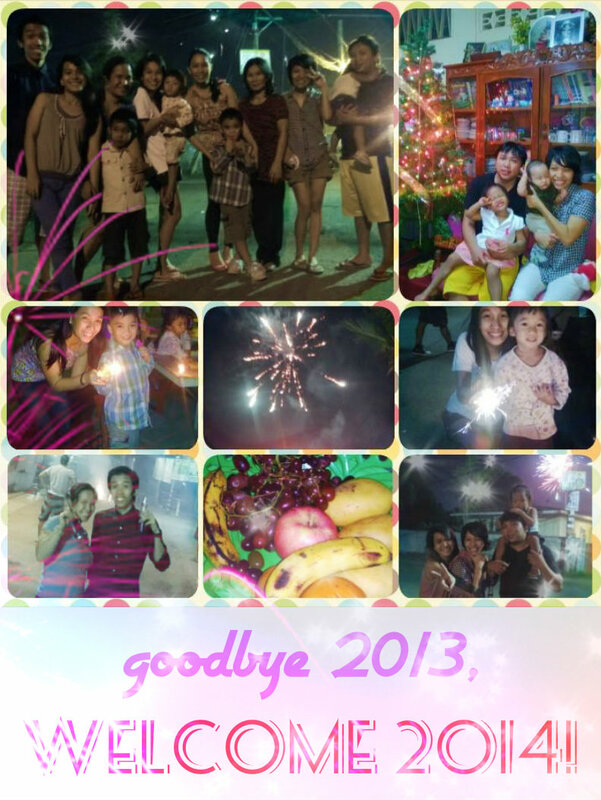 I know I am already 5 days late to say goodbye to 2013, but I still wanna let my family shout our warm greetings out loud. So to all of you. . .
Wow! That was a blast! Again, happy new year guys! How was your New Year Celebration? Did you see enough of the fireworks display? I can’t get enough of it. The New Year Countdown has always been a wonderful and exciting celebration that I always look forward to. I always get excited to hear the loud cheerings and noisy horn-blowing while watching the rainbow-colored fireworks which make the sky so beautifully vibrant. Plus, enjoying a full holiday meal that nobody can surely resist. Aaaaahhhh holidays, I want more of you ♥.. if only I can extend my holiday vacation..
Alright, I swear I’ll make this just short. So let me end by greeting all of you again a happy new year! I wish everyone a more fruitful, blessed, meaningful, and beautiful day all year round. May we all have a properous new year!